Many older animals in shelters often find themselves waiting a long time for their forever homes. Puppies and kittens are typically adopted at higher rates than adult or senior animals. Although they may sometimes seem less energetic or eager to meet people, senior pets need a home just as badly as younger animals — maybe even more. Of the 7.6 million animals brought into shelters each year, 2.7 million are euthanized, the ASPCA says. A large portion of those animals are adult or senior pets, according to DogTime.com. The good news? For many people seeking companionship, a senior pet may be a great fit. Read on to find out why a senior pet may be right for you. Older pets are typically less rambunctious and destructive than new, untrained puppies or kittens, according to veterinarian Dr. Karen Becker. They are also often already housebroken and can easily adapt to your home. People looking for a gentle pet might enjoy the company of an older animal. Many people actually look for senior animals when adopting, said Lauren Lipsey, director of rehoming at the Washington Humane Society. "They know that they're true companion animals that have already had a family," she said. "Senior pets are typically quieter and calmer." There can be a lot of uncertainty in adopting a puppy, including changes in size, coat or personality. Senior dogs have matured coats and set personalities, and of course, they're not going to get any bigger, according to the ASPCA. 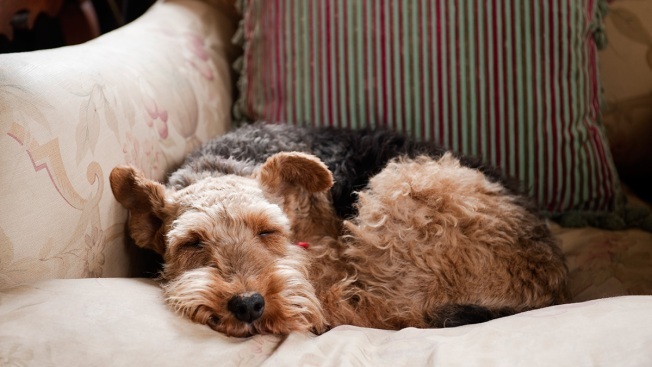 Some people may be concerned about potential health problems that can accompany a senior pet. "Health issues are an inherent risk with senior pets," said Lipsey. "If a senior animal has a health problem, we address that and inform the adopter." While it isn't uncommon for dogs to develop health problems as they get older, any issues will usually manifest by adulthood, according to The Happy Puppy Site. In other words, you'll probably know what you're getting. Older pets may also work well for first-time pet owners. As any pet owner knows, having a pet is a big investment of both time and money. For people who haven't handled a commitment like that before, it may make sense to adopt a senior pet that is more reliable and independent, according to PetFinder.com. "A lot of people feel for senior pets," Lipsey said. "As good as a shelter is, it's not a long-term place for any animal."